Yesterday Theo was diagnosed with aggressive oral cancer. Our amazing vet, Dr. Rosado, gave him a few weeks to live. He also said that while oncology could prolong his life, it wouldn’t be more than a few months. Jon did some additional research, and the prospect for treatment is pretty awful – it means cutting away most of his face and having the poor guy live with a feeding tube. The tumors are in the top of his jaw and we’re 90% sure it’s grown into his sinuses, so it’d be a pretty dramatic thing. He just had a few teeth extracted on April 29th. Nothing looked amiss then. Neither of us are taking this well. We lost Amelia only 8 months ago. 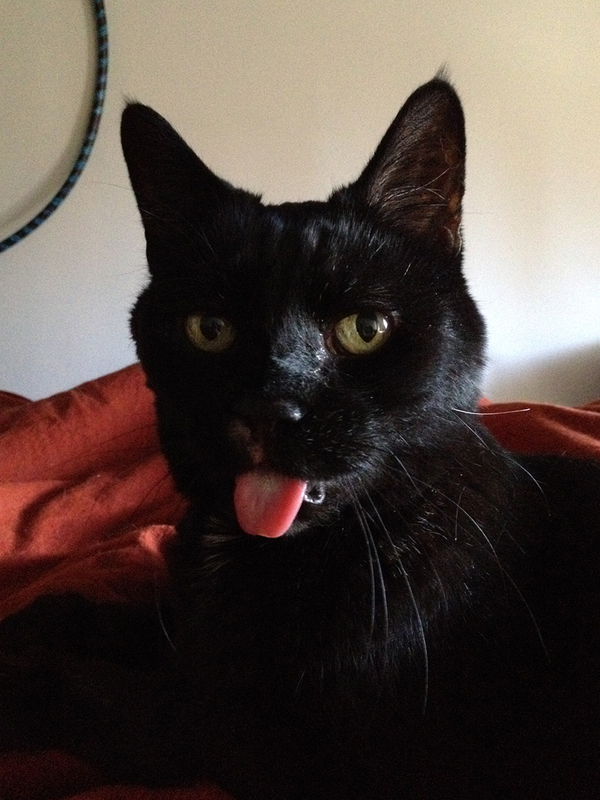 And this will be the 2nd cat Jon has lost to oral cancer, so this is feeling pretty fucked up to both of us. …. Yeah, that’s all I can manage now.